Run the parade route on Labor Day! 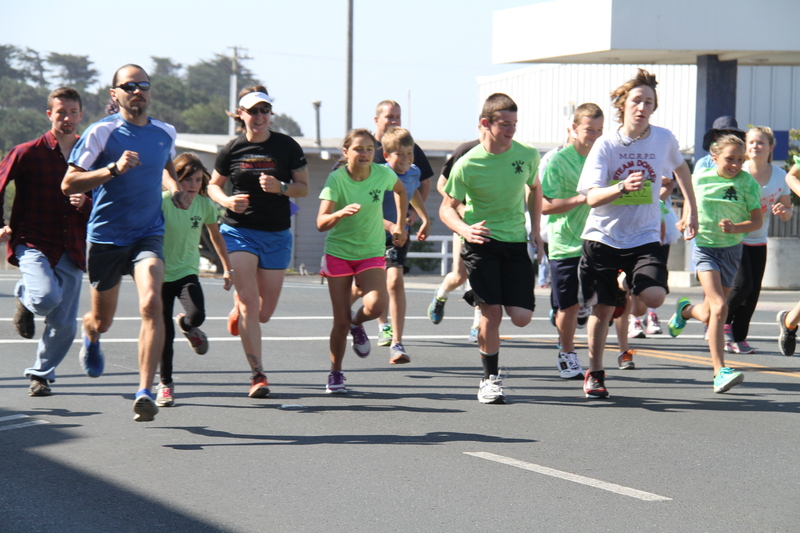 A one mile fun walk and run in historic downtown Fort Bragg to benefit Mendocino Coast Recreation and Park District (MCRPD). The fun run/walk is Monday, Labor Day, at 11:00 am along the parade route. There are Adult and children divisions and the entry fee is $20 adult, $10 child (17 years and younger). Sign up in advance at MCRPD District Office, CV Starr Community Center, 300 S. Lincoln, Fort Bragg or on race day, at the race registration and HQ booth located just outside Town Hall Entrance at HWY 1 from 9 – 10:45 am. Participants get a logo t-shirt – as long as they last! Paul Bunyan costumes and attire encouraged!